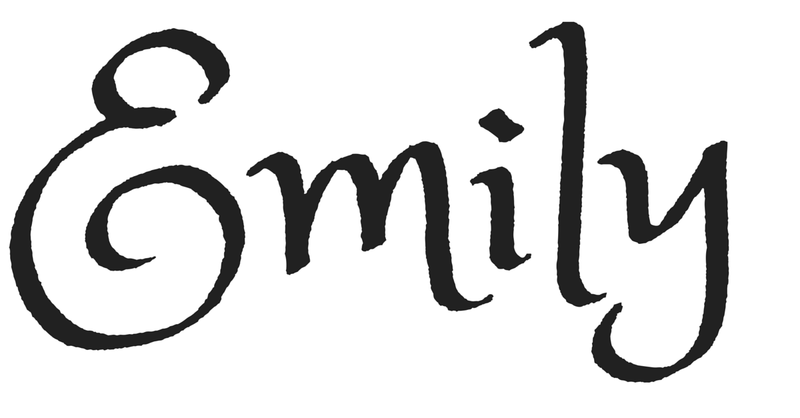 Begin to create templates with these fonts to experiment with mixing fonts and adding emphasis. I decided to use pink and gold for emphasis, as well as all caps. If I don't have a background image for a graphic, I use a standard grey background (the one in the graphic for this post.) I used to try and use a stock photo for every post, but a lot of the free ones were really low quality and didn't necessarily pertain to the post. I still use a couple free stock photos (from Pixabay) now and then, but only when they make the graphic prettier and more pertainable. I also try and take my own photos when I can. It's important to add text (including your watermark) to your photos whenever possible. It makes them more pinnable and prevents your work from being stolen. If you ever make quote graphics for your blog, they don't necessarily need to conform to your style guide (they'll be more pin-able that way.) Have fun with them and mix things up! In order to make your style guide concrete, you should make a couple of mock-up graphics or templates to base your work off of. For my first style guide, I made a bunch of graphics that simply stated font names, hex values, etc., but the second time around, I already had all that information memorized, so I just collected a couple of my favorite graphics and decided to make all my posts match them. My headings are just the default for my blog template, my sub-headings are large, bolded and pink, and my minor headings are simply bolded. This helps me create in-post hierachy. I do my sub-headings by hand in every post, but I'm sure there's a way to make them more automatic (I just haven't gotten around to figuring it out. Update: After finding out how important headings and subheadings are for SEO (and how much easier they are to use), I have transitioned to using the H1 and H2 tags exclusively. This applies to graphics as well, but I thought I would mention it here because you really have to be careful with this in your HTML. Make sure you have a limited number of colors on your blog (I stick to black for the body font, pops of pink and gold in my links, header, post titles and graphics, and light blue in the sidebar.) It's also a good idea to take/use pictures that have a similar composition and color scheme (a trick that works well on Instagram as well.) Having a limited number of colors and fonts helps your blog look uniform and neat. If you haven't thought about this before, it's a good idea to go ahead and create a post. It can be a post you're planning on publishing anyway, or a dummy post that you never publish (make sure to note that in the title and feel free to include the graphics for your style guide.) You can go back and refer to this template whenever you'd like, whether it's because you forgot your hex values, or you're not sure what size of font you should use. 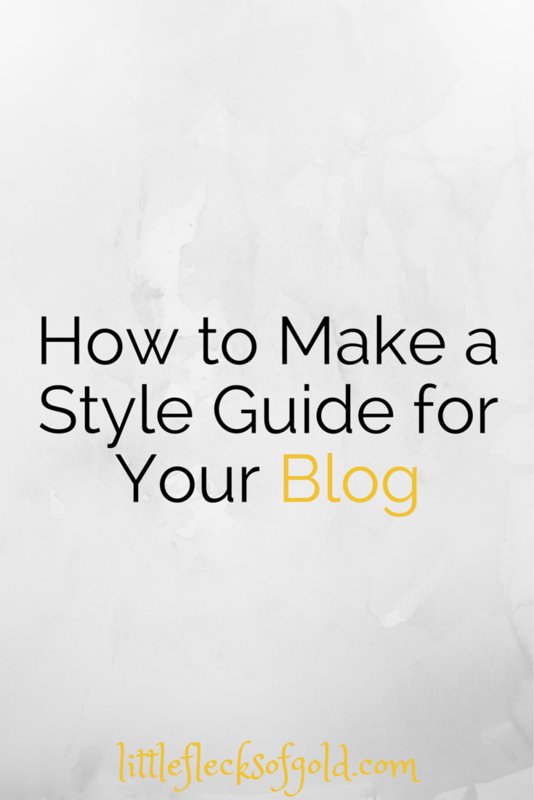 If you have different formats of posts you do a lot, you may want to make a style guide for each of them. I almost always stick to one format (and when I don't, the changes are either very minor or there's not really any formatting at all) so I only ever made one template. When you're done, click preview and make sure you like what you see. Tweak anything that you don't like (after all, you're going to be stuck with this for a while.) Once you're happy, save (don't publish) your post and pat yourself on the back for creating your brand new style guide!